There are many ways to relax in a garden, when the sun is hot and the sky is blue. So many different ways to enjoy the season and make the most of every moment. 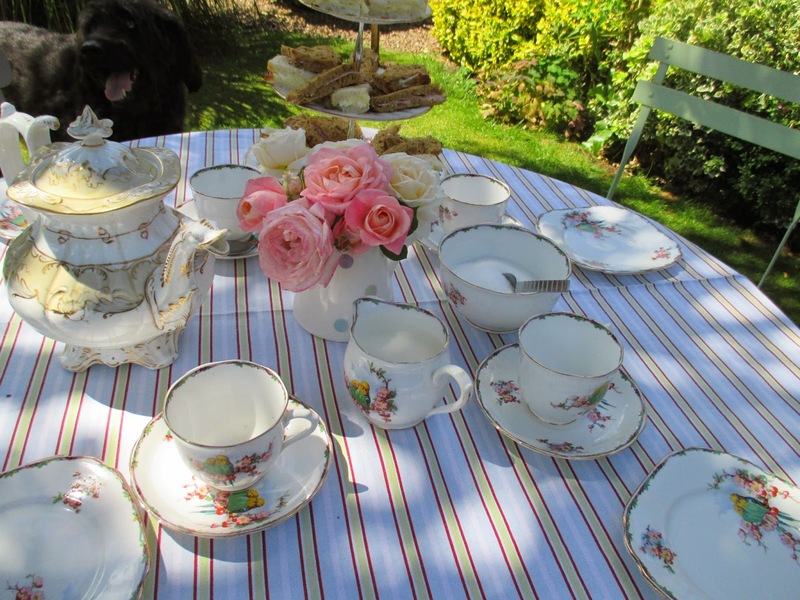 Vintage Afternoon Tea parties are a very civilised way to spend time with family and friends, and, if the sun is shining, they are so much nicer outside. Set up in the dappled shade of a silver birch, using a vintage Art Deco tea set and my great grandmother's dragon spout tea pot. Photo bombed by a greedy and expectant labradoodle ! I even broke the habit of a lifetime and picked a small jug of roses. If the pleasure is solitary, then swinging gently in a hammock soothes the soul. And, if the wind is a little chill, there is always the shelter of the summerhouse, with the smell of timber warmed by the sun. It stays so warm in there that you can still be out there late into the night, the darkness filled with owls softly hooting. I have realised, after all this time, that the joy is in the doing rather than in contemplating what has been done. 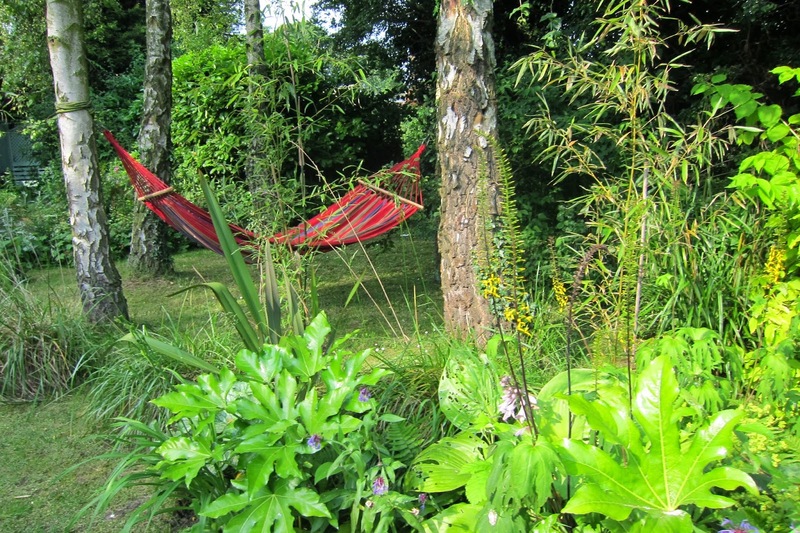 We may intend to relax, but in reality, the secateurs get much more use than the hammock! Nice! I like your tea table. Thank you Cynthia. I was really worried about dropping the teapot ! Very true but there is always time fr a coffee break! Or even a wine break after a really tough day! It's great for taking a rest after hard work in the garden Jane. A lovely post. Hi Marijke, Thank you. You have a lovely day too - the sun is shining here so hope it is with you too! So true Jane. Although this weekend the chair has won for us! Ah, well done you two! Well deserved I'm sure ! Christina that sounds fabulous. I can almost taste those pancakes ! I do agree as my gazebo sits empty too often...time to get out there for a relaxing sit to watch the birds and insects play in the garden. Love the tea set and that tea pot...I love dragons! Hi Donna - for some reason, I thought it was a swan and not a dragon for YEARS ! Goodness knows why ! You must have some fantastic birds and insects to watch ! Wow... that's really nice. Every part will be a great place for relaxing. I like your tea set. Enjoy your afternoon tea. Hi Endah,thank you, we really did enjoy our English Afternoon Tea, and had traditional sandwiches, scones with cream and jam, then Eton Mess, which is meringue and raspberries. Such a lovely post. 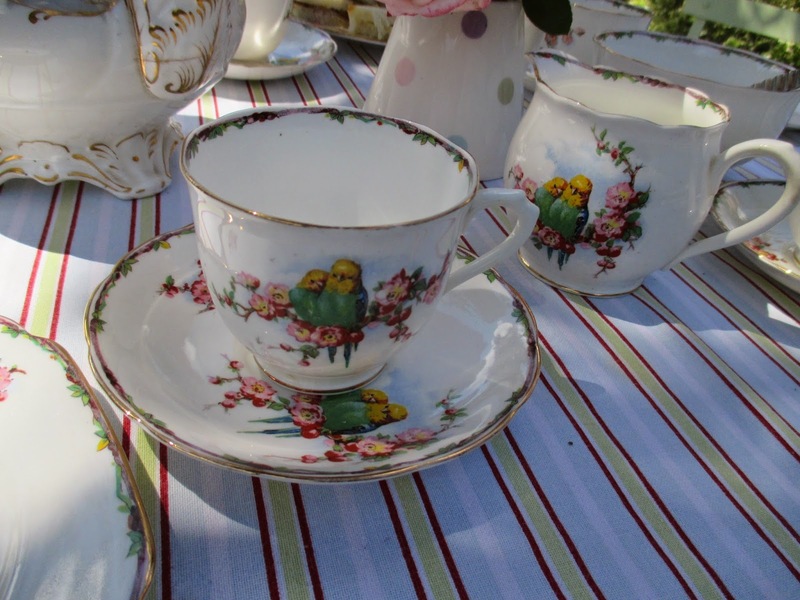 Your tea party looks so beautiful and inviting. We forget the point of it all sometimes. I worked so hard yesterday all I could do was stagger into a chair. Am feeling overwhelmed lately and think I will be taking a leaf out of your book soon. Ah, Grace, I had missed you ! How is you garden doing ? You are obviously working very hard in it at the moment! the joy is in the doing! Yes, altho the laptop and blogs also distract me. The magic clicks into place when I can see in my garden, what I imagined it would be. I agree Diana, I can lose an hour very easily, hopping from blog to blog. I love it when the magic does work, but it can be a very fleeting thing, as the garden is never static. 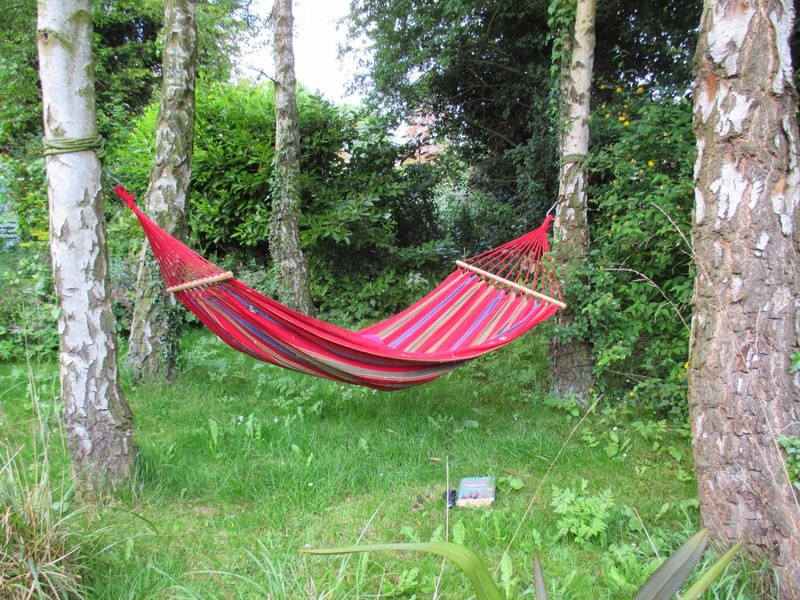 that's why it's essential that the hammock is so-o-o photogenic! ...and very grubby when you get up close !! 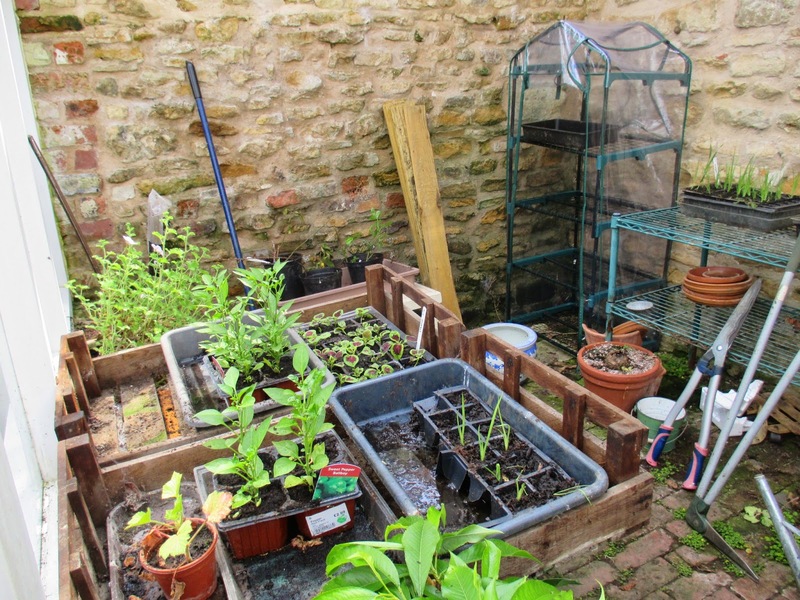 Thank you for this lovely summer post - I wholly agree - it is hard to just sit and be - I do try - but deep down the gardener in my soul just won't let up. The hammock looks terribly inviting, if only I had two trees close enough together.Loving your tea party table - I'll take mine with milk and two sugars please. I love your garden. What a beautiful place to chill out. Hi Ali, thanks for your comments ! 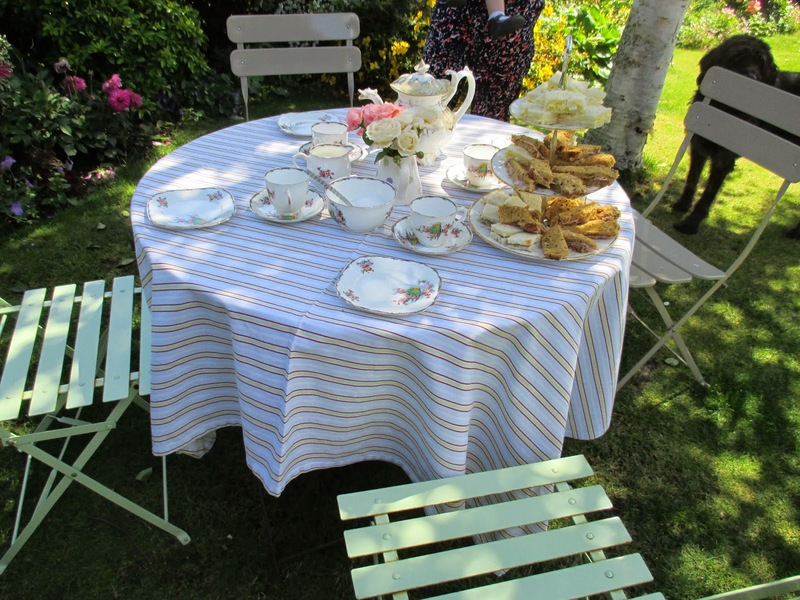 Such a beautiful table set for afternoon tea, then a hammock to snooze in, it all looks so tempting! I think we all know we should sit more often, but plants keep calling for attention! Jane, very lovely first photo! I'd like to sit ther with you and have a cup of tea! 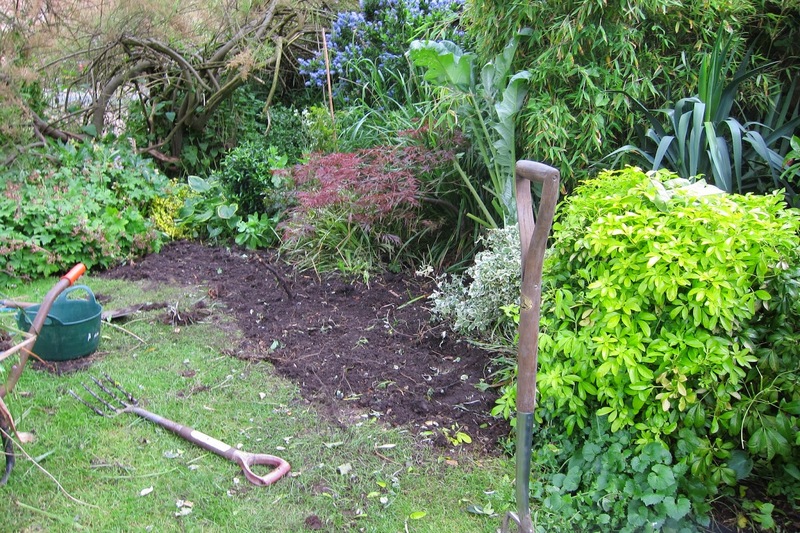 You're right : secateurs are used more often than chair, hammock or a book. You would be more than welcome Nadezda ! We could share a cream tea too! Should be set to music, "Sunny Afternoon" the Kinks would do nicely. Ah, love it ' lazing on this sunny afternoon'!! Excellent choice ! Your afternoon tea looks exceedingly civilised! I love the planting around your summer house too, though if it were mine, rather than being a sanctuary and place to sit band listen to the owls, it would be full of "stuff"! 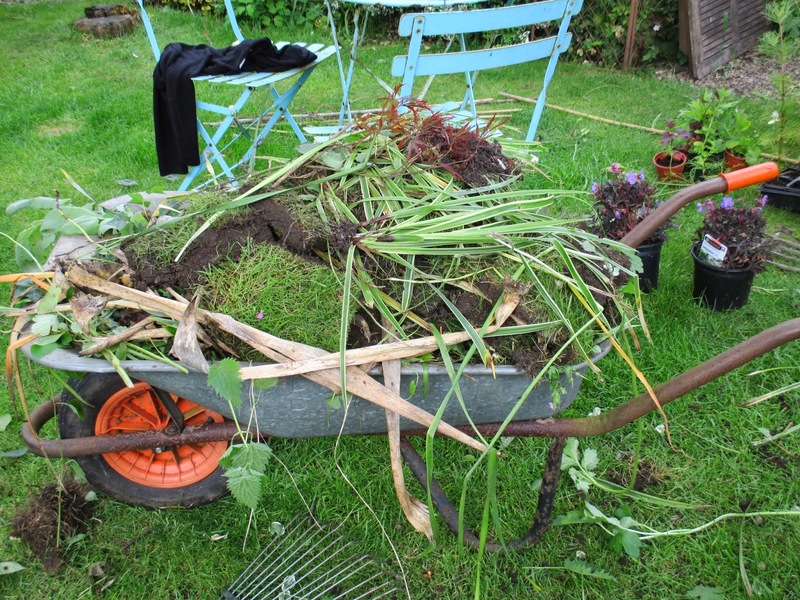 But you are VSO right about gardeners being rubbish at just sitting and relaxing, I was quite relieved to the later photos, when I do plop down in a chair I am generally surrounded by discarded tools and trugs of weeds rather than immaculate lawns and borders!! Hi Janet. 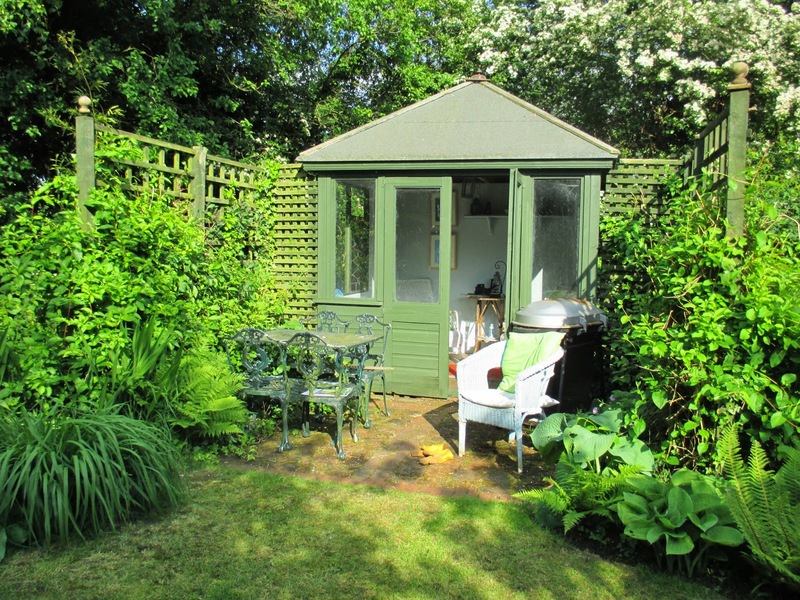 The summerhouse is home to lots of garden tools too, so when you sit in there you have to cosy up to a fork or spade ! One day I will sit surrounded by nothing but a book and perhaps a tasteful little trig ! I love your table set for tea. And the hammock! I have a hammock and it is blissful, but you are right, before long you think of all the jobs that need doing and you are off again. But in winter, when you think about the garden, then you imagine yourself having tea or a glass of wine or snoozing in the hammock. You don't, think of yourself hot and sweaty and scratched, trying to keep up with the weeding. Thanks Chloris. I hadn't thought of that, but that is so true. All my winter dreaming by the fire involves sitting in the garden rather than the more usual working in it ! How true, how true! I am also guilty of fidgeting and only sit when visitors come. 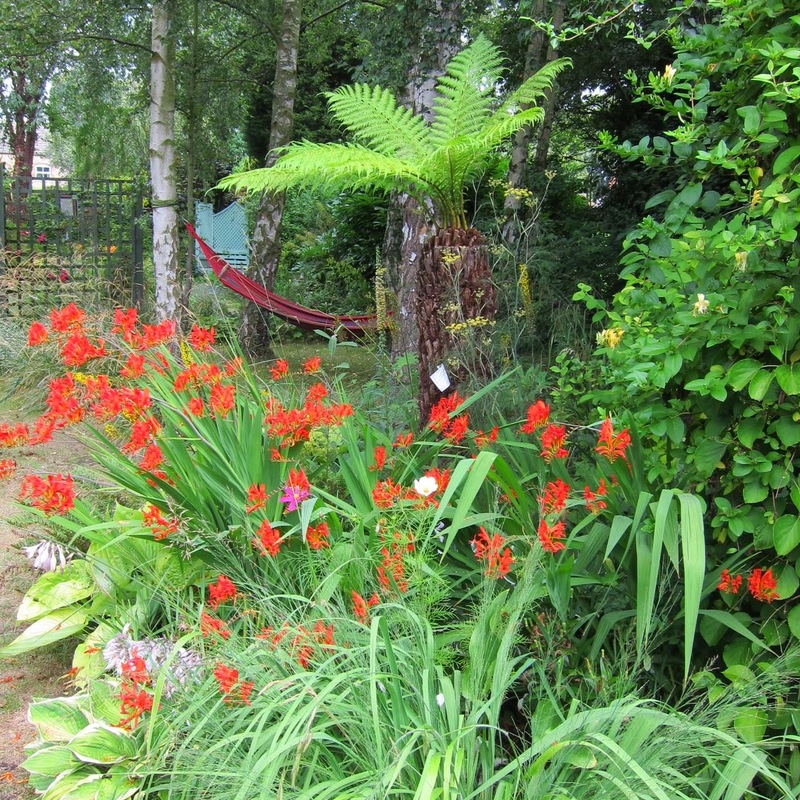 Your garden looks such a nice place to relax in though!